Yesterday was indeed a "red-letter" day for the GAA as Minister for Culture Josepha Madigan gushed. "Hurling is gone global!" puffed the GAA as UNESCO awarded hurling and camogie - "a form of hurling played by women", the United Nations body helpfully explained - to their (lengthy) list of list of globally protected cultural activities. And so, 134 years after a meeting of minds in Hayes' Hotel, the GAA can proudly proclaim its status upon the world stage alongside the tugging rituals of Cambodia, polyphonic singing of the Aka Pygmies in Central Africa, the scissors dance of Peru and oil wrestling in Turkey. Oh, and not forgetting the bagpipe culture of Scot... er, Slovakia, actually. The seemingly persistent, grating need for the Irish to seek affirmation from abroad has therefore reached a natural apogee; Michael Cusack and the lads can rest easy. "Hurling is an example of intangible cultural heritage," UNESCO have confirmed, a predictably vacuous offering but then nothing less can be expected from the offspring of a UN that earns its corn from spouting endless nonsense without actually implementing action. Not for nothing has it been coined a talking shop where no issue is too trivial to be debated to an endless degree without producing any resolution to which all sides can agree. Sound like anything we know? GAA president John Horan, clearly attempting to avoid hyperbole, noted that, "Hurling is more than just a sport. It is a national treasure; an ancient tradition that connects us to our Celtic past and a part of our DNA." Horan referred to the announcement as an almost natural cap on what has been a successful year. A gripping championship featured a new competitive structure which produced a series of impossibly thrilling encounters - consequently relegating its bastardised brother, football, to the ha'penny place - and delivered a remarkable tale of triumph in the eventual All-Ireland winners Limerick. The GAA added that their newly-acquired status would also help it grow the game globally. For a game that so patronisingly boasts about reaching the four corners of the world, it is worth reminding ourselves that hurling is currently incapable of breaching all four provinces of Ireland. And has been since Cusack and the boys had afternoon tea in Thurles. Since the first championship in 1887, the same handful of counties have shared the spoils; instead of broadening its base, it has been narrowed. The Connacht and Ulster Championships are as extinct as the Irish wolf; in large sweeps of the land, the game is, if it is fortunate, treated as a secondary concern. It is indeed the eighth wonder of the world that its greatest game is pursued by so few and, even then, hidden from so many. The UN declined to place the Great Barrier Reef on its danger list even though it is half-dead already; in Ireland, there is a great barrier separating hurling above and below the Galway to Dublin motorway. But once Clare, Limerick, Galway and Wexford are spreading the gospel to some bemused Bostonians playing lacrosse-lite, or the farcical Super 11s who needs to slog at creating a heritage at home when it is easier to flog one abroad? Those who are perceived second-rate here, like the counties who competed in the hugely enjoyable Joe McDonagh, might as well be competing in the Cambodian tugging championships for all the promotion and encouragement they receive. Although many of the games were as thrilling as anything else during the inter-country summer, there was a better chance of seeing the dying art of Turkish whistling on your screens than anything more than a snatched five-minute TV highlights package every fortnight or so. Offaly's relegation to this much-maligned tier of competition was greeted with merely an apathetic shrug of the shoulders last summer, with far too many arguing their decline was deserved rather than wondering why it had happened in the first place. The drama of the Munster Senior Hurling Championship and the Cuala phenomenon in Dublin papers over numerous cracks; the game is an endangered species in so many areas and deserves a UN designation of its own. In a week dominated by internecine squabbles about mostly inconsequential rule changes to the big-ball game, it would be easy to forget that the GAA's biggest failure has been its inability - or unwillingness - to spread the game of hurling on this island. 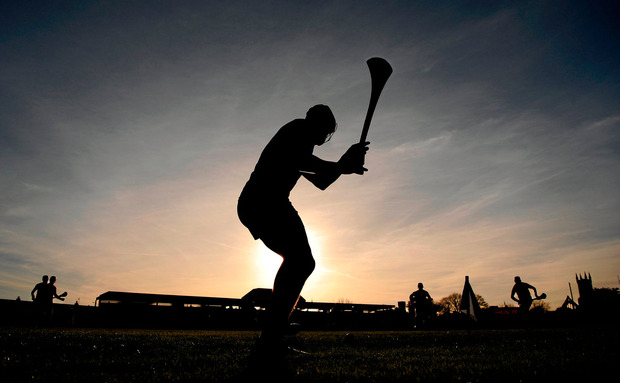 Hurling offers so much to the GAA but how much does the GAA offer in return? Merely lip service. There is no palpable sense of a national plan to energise a sport that is slowly becoming extinct in vast swathes of the country. But once the sport is recognised globally, who really cares about hurling in Leitrim or Cavan?